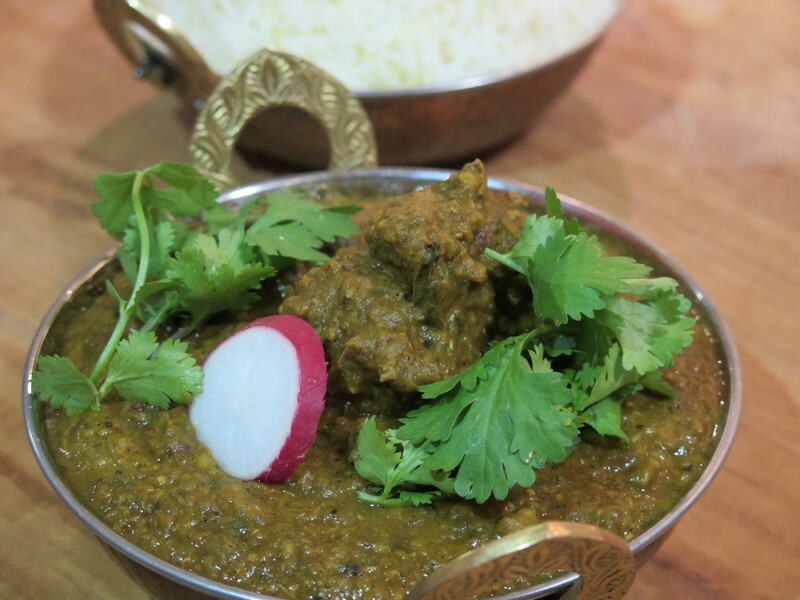 Dhansak Parsi curry translates to Lamb with legume curry. This curry is a classic festive dish served every Sunday in many Parsi homes. The ingredients used and flavours of this dish is a marriage between the Persian and Indian cuisine. Dhansak Parsi Curry consists of several cooking steps involving preparation of Blended Masala, meat, vegetable pure and combing the different elements to complete cooking this dish. Don’t be disheartened by the lengthy recipes – The reward is truly a satisfying curry dish that you would want to cook on special occasions. 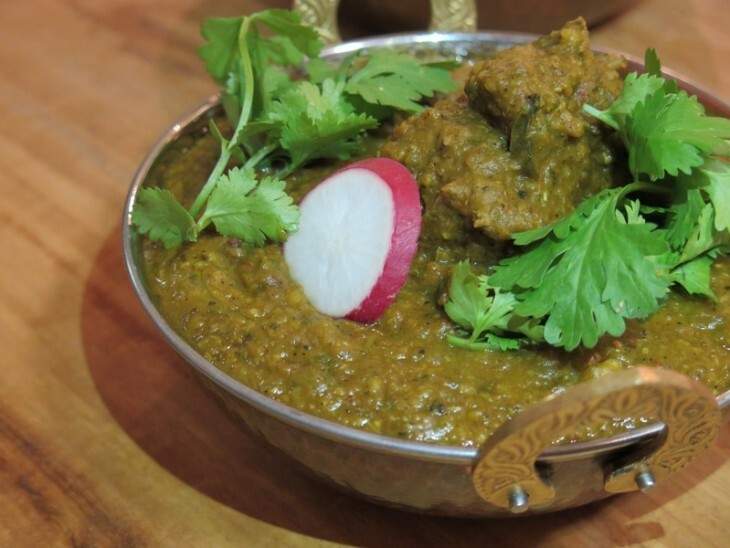 The picture shows this dish served in our traditional Indian copper serving bowl with crafted handles. Rinse the legumes (split peas, chickpeas, red lentils) and soak covered with warm water overnight. Drain Well. In a large pot add the legumes and meat and salt. Cover with water. Bring to boil and then simmer to cook for further 30 minutes. Add the eggplant, pumpkin, potato, tomato and spinach. Mix through and continue cooking for another 20-30 minutes until the meat is almost cooked. Remove the meat from the above mixture to a plate. Set aside. Add the liquid and vegetable mixture to the food processor and blitz to a smooth paste. Remove and Set aside. To make the blended masala, in the same food processor add red and green chillies, ginger, garlic, garam masala and spice, mint and coriander along with 60ml of hot water. Process to a fine paste. Set aside. In a separate saucepan, heat ghee. Add onion and fry until golden. Stir constantly. Add the blended masala and cook until fragrant (10-15 minutes), whilst stirring continually. Add vegetable pure and meat to the fragrant masala. Then reduce the heat and simmer on low heat for further 20-30 minutes. Adjust seasoning and garnish with fresh herbs and raddish. Serve with warm indian bread or Cumin Rice.